The Executive Agency for Small and Medium-sized Enterprises is launching this invitation to tender for European Light Industries Innovation and Technology (ELIIT) Project aiming at enabling pan-European collaboration between Small and Medium Enterprises (SMEs) active in light-industries, namely textile, clothing, leather and footwear (TCLF) industries, and providers or owners of novel and innovative technologies to drive innovation and technology transfer. The general objectives of this tender are to identify in the TCLF industries the obstacles behind the gap between innovation/research results and their uptake into the market, and to provide efficient solutions through the development and testing of concrete actions focused on faster market up-take of innovation and its integration in the industrial process. 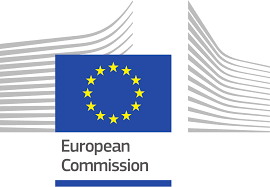 The aim is to promote cross-EU cooperation between SMEs from TCLF industries and providers or owners of novel technologies, to promote the use of technology-ready solutions to improve productivity, value chain integration, resource efficiency and to create new high added-value niche-market products and services. The estimated contract value excluding VAT is 3 000 000.00 EUR. Duration of the contract, framework agreement or dynamic purchasing system: 48 months. The procurement is related to (EU) Regulation No 1287/2013 of 11 December 2013 establishing COSME programme, COSME work programme 2018 item GRO/SME/18/C/05. Tenders or requests to participate must be submitted electronically via: https://etendering.ted.europa.eu/cft/cft-display.html?cftId=3912. The procurement documents are available for unrestricted and full direct access, free of charge, at: https://etendering.ted.europa.eu/cft/cft-display.html?cftId=3912. Additional information can be obtained from easme-procurement@ec.europa.eu.